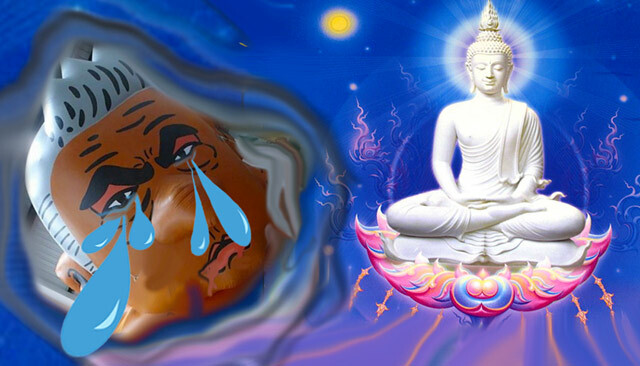 Buddha Appears to Crybaby Kant. Buddha serene, London mayor howling. Buddha mentions the 4 noble truths, 8-fold path. The verdict: for Crybaby Kant, samsara. Now Buddha appears to the howling mayor, Crybaby Kant, still wailing in pain in a London loo, begging for forgiveness from all those he has wronged. “Forgiveness, forgiveness,” begs Crybaby Kant. And Crybaby Kant is left wailing.